Progestins are successfully employed as treatment for endometriosis. Our study evaluates the effects of the etonogestrel (ENG) implant on pelvic pain, quality of life, and sexual function in women requiring long-term reversible contraception and presenting ovarian cysts of probable endometriotic origin. We enrolled 25 women asking for contraception with the ENG implant and presenting a cyst with the ultrasound features of an endometrioma and pain symptoms. Patients were interviewed on pain symptoms (dysmenorrhea, dyspareunia, dyschezia, and dysuria) using a VAS score (0–10), on quality of life (QoL) using the Short Form-36 questionnaire, and on sexual activity using the Female Sexual Function Index (FSFI) questionnaire before inserting the implant (T0) and after 6 (T1) and 12 months (T2). 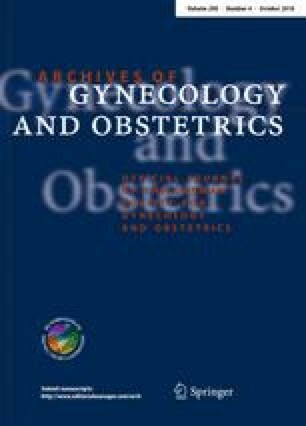 We found a significant decrease in dysmenorrhea and dyspareunia VAS scores comparing baseline scores to 6 and 12 months. After 12 months, the bodily pain, general health, vitality, social functioning, and mental health domains of the QoL score were significantly improved. The total FSFI score results increased in comparison with baseline both at 6 and 12 months. In particular, we highlighted a significant improvement in desire, satisfaction, and pain domains already at 6 months; the arousal domain improved only after 12 months. Finally, mean diameters of endometrioma-like cysts were not changed after 12 months of treatment. Etonogestrel implants seem to be able to reduce pelvic pain, improve sexual function, and quality of life in patients with ovarian cysts suspected of endometriotic origin. AS: manuscript writing. NR: data collection. PG: manuscript writing. MG: data collection. ASL: manuscript editing. CC: project supervision. This study was not supported by any grant/fund. The authors have no proprietary, financial, professional, or other personal interest of any nature in any product, service, or company.